Nusra-fronten, den andre store jihad-gruppen i Syria, er i gang med å forlate al-Qaida, og vil slutte seg til en større islamistallianse. De får ivrig støtte fra Qatar. Det foregår et komplisert spill. Nusrafronten søker bredere allianse, både mot rivalen IS og Assad. Det paser Qatar som lover penger og våpen. Leaders of Syria’s Nusra Front are considering cutting their links with al Qaeda to form a new entity backed by some Gulf states trying to topple President Bashar al-Assad, sources said. Hvilke interesse kan Qatar ha av en slik utvikling? Det kan spille på flere hester: Kampen mot Assad får en boost. Tilsynelatende beveger Nusra seg mot en mer moderat posisjon. Men det er en islamistisk, ikke en sekulær posisjon. Nusra bekjemper de siste ikke-islamistiske gruppene og rydder dem av veien. Det var disse som var USAs tiltenkte samarbeidspartnere. One of the main western-backed rebel groups announced on Sunday that it had dissolved itself and joined a larger Islamist alliance, weeks into a battle which saw it lose ground and men to more powerful al Qaeda insurgents. Hazzm is one of the last remnants of non-jihadist opposition to President Bashar al-Assad in northern Syria, much of which has been seized by the Nusra Front and Islamic State, an offshoot of al Qaeda that controls roughly a third of Syria. The statement posted online said its fighters would join the Shamiyah Front, an alliance of Islamist brigades in Aleppo, to prevent further bloodshed. The decision comes after heavy weekend fighting between it and the Nusra Front, al Qaeda’s official Syria wing. Both Hazzm, which is part of the Free Syria Army collection of mainstream rebel groups, and Nusra fight the government. On Saturday, the Nusra Front drove Hazzm out of a strategic northern Regiment 46 base in Aleppo province and killed around 30 of its fighters, said the Syrian Observatory for Human Rights, which tracks the conflict. Så hvem skal USA samarbeide med? Emiren av Qatar var nylig hos Obama. Obama vil ikke ha noe valg, hvis han vil bidra mot Assad må han støtte en bredere islamistallianse, som formelt er mot IS. Men i realiteten er det islamismen som vinner, med alt det har å si for demoralisering av demokratiske krefter. Qatar vil rebrande Nusra slik at fronten fremstår som mer moderat. Det er ingenting i USAs politikk som tar høyde for en slik utvikling, ingen kritikk eller advarsler fra Obama-administrasjonen. Den overser eller tier om det som ikke passer. While it awaits the final word from its decision-making Shoura council, Nusra is not wasting time. It has turned on small non-jihadi groups, seizing their territory and forcing them to disarm so as to consolidate Nusra’s power in northern Syria and pave the way for the new group. 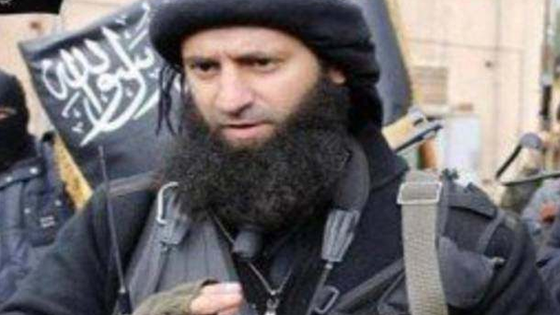 Intelligence officials from Gulf states including Qatar have met the leader of Nusra, Abu Mohamad al-Golani (pix), several times in the past few months to encourage him to abandon al Qaeda and to discuss what support they could provide, the sources said. They promised funding once it happens. «A new entity will see the light soon, which will include Nusra and Jaysh al Muhajereen wel Ansar and other small brigades,» said Muzamjer al-Sham, a prominent jihadi figure who is close to Nusra and other Islamist groups in Syria. «The name of Nusra will be abandoned. It will disengage from al Qaeda. But not all the Nusra emirs agree and that is why the announcement has been delayed,» said Sham. A source close to the foreign ministry confirmed that Qatar wanted Nusra to become a purely Syrian force not linked to al Qaeda. «They are promising Nusra more support, i.e. money, supplies etc, once they let go of the Qaeda ties,» the official said. I krig har man begrensede muligheter. USA mister nå de gruppene de ville ha støttet. De vil bli stående igjen med de som Qatar tilbyr: jihadister rebranded som moderate. Jihadi sources said that Golani suggested to the group’s Shoura Council that it should merge with Jaysh al-Muhajereen wel Ansar, a smaller jihadi group composed of local and foreign fighters and led by a Chechen commander. The announcement has been delayed due to objections from some of Nusra’s leaders who reject the idea of leaving al Qaeda. But this was seen as unlikely to stop Golani. «He is going to do it, he does not have a choice. Those who are not happy can leave,» said a Nusra source who backs the move.